Or visit restonyoga.com for directions. This meditation is typically open to people who have been to our other meditations, at least once, and are familiar with our orientation. Why? Because there will be no pre-talk, debriefing, and preparation for newbies at this meditation. Park Hyatt Washington, D.C. will host a Winter 2018 Park Hyatt Masters of Food & Wine, a seasonal culinary & beverage experience on Sunday, November 4. 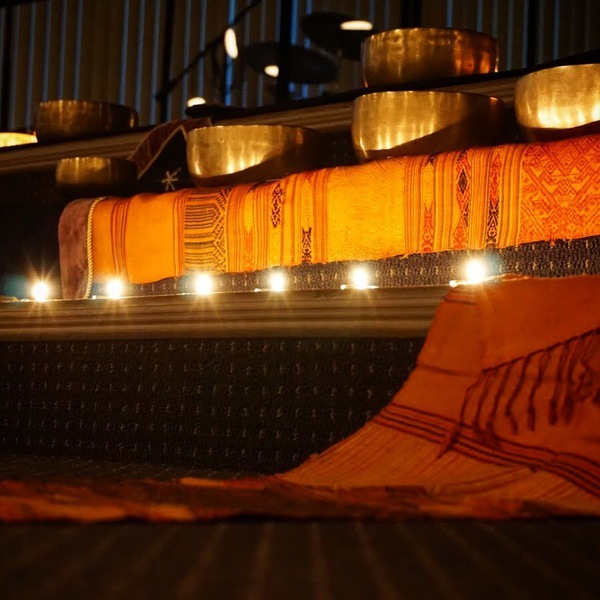 This unique gathering celebrates the exploration of ancient sound-healing meditation and will be hosted by Park Hyatt Washington, D.C.’s Tea Specialist Christian Eck and Sound Bath Meditation Expert Robert Lee of Human Activation (http://humanactivation.com/). It will take place in one of the luxury meeting areas on the hotel’s lower level of 10,000 square-feet of flexible event and meeting space. Attendees will experience a 45-minute sound bath meditation session using Tibetan singing bowls, some of which are over 200 years old. Tibetans have been using these instruments, considered sonic frequency technologies, for more than 2,000 years to relax, recharge and cleanse the soul. Following the 45-minute meditation session, guests will enjoy a “matcha station” along with mindful herbal teas paired with lite bites to complement the unique taste and distinctive profile of each tea. This exclusive experience is priced at $85 per person. Loose, comfortable clothing is encouraged. This is a private residence, please contact 703 395 4990 to receive details. Thank you. The Deepening With Whale Songs. 1st Timers Welcome! A unique experience of frequency that ebbs and flows using live recordings of whales and Tibetan singing bowls as well as quartz crystal bowls for a relaxing immersion in an ocean of sound. A 2nd century stone relief in the Himalayan mountains shows us Buddha and his buddies playing ancient Tibetan singing bowls. Human Activation sound frequency specialist Robert Lee will be playing several of these rare Singing Bowls, some of which are over 200 years old. A magical alchemy of 7 -12 different metals rings in the past, present, and future for our relaxing enchantment. 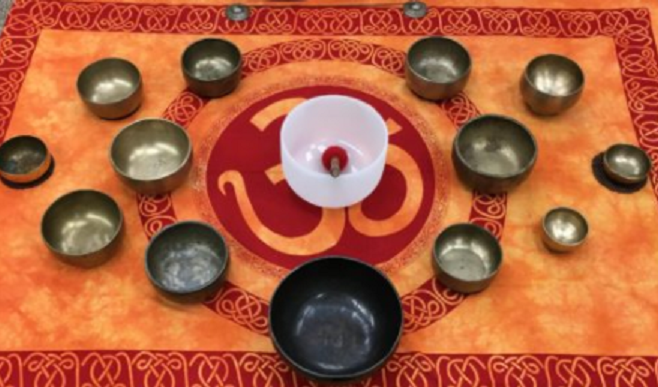 “The sound bath meditation is a welcome addition to my meditation practice. The unique sounds produced by the bowls helped me to have a deeper and more meaningful experience. The calming and welcoming presence of the hosts allowed me to feel very comfortable from the minute I walked through the doors. Thank you!” – Teresa A. All proceeds go to support the Crystal Ashram non-profit project where the Human Activation School of Expanded Consciousness will be held. http://humanactivation.org/. All proceeds go to support the Crystal Ashram 501(c)(3) non-profit where the Human Activation School of Expanded Consciousness will be held. http://humanactivation.org/. Proceeds will support the Crystal Ashram 501(c)(3) non-profit where the Human Activation School of Expanded Consciousness will be held. http://humanactivation.org/. This month’s focus will be on the activation of the Heart chakra. the heart that is found in-between. for love, joy, or depression. How will we learn to tell them apart? Come feel the vibrations of this masterful art. The musical note is “F”, the color for this Chakra is Green, in the spirit of the Valentines heart, we will be bringing a rare rose colored Shiva Lingam with a lovely enduring image of a mother embracing a child on it. This stone brings in the deep remembrance of the love from our mother Gaia and grounds us into our roots of love. 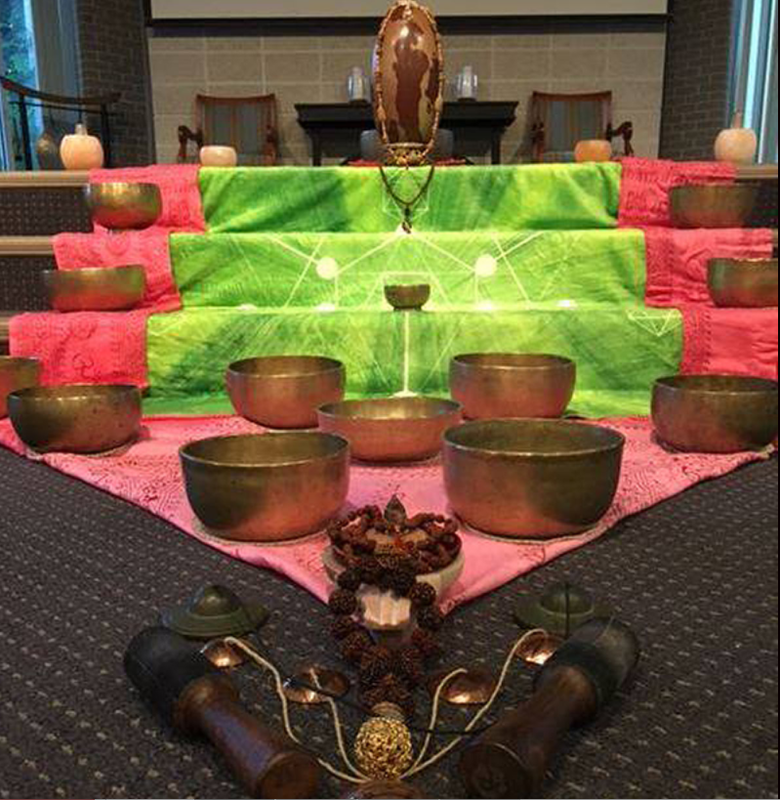 Come and let your heart open in a safe and sacred space, with a rare collection of ancient Tibetan bowls. Questions? Please email monte@crystalashram.com. Text or call 410-980-1324. The musical note is “F”, the color for this Chakra is Green, in the spirit of the Valentines heart, we will be bringing a rare rose-colored Shiva Lingam with a lovely enduring image of a mother embracing a child on it. This stone brings in the deep remembrance of the love from our mother Gaia and grounds us into our roots of love. Come hear the amazing story of how the practice was abandoned long ago and rediscovered in modern times. Sonic, soothing, sounds for The DEEPENING at this time! This meditation will only be open to people who have been to our 1st week of the month meditations, at least once, and are familiar with our orientation. Why? Because there will be no pre-talk, debriefing, and preparation for newbies at this meditation. This exclusive meditation will maintain a most sacred and silent opportunity for attendees to go deeper into the frequencies offered.There will be no cell phones allowed in this room. You might want to leave them in your car please. This will also be a simple and pure offering, featuring less bowls and no elaborate crystal grids. This minimalistic offering will allow each individual master bowl to be heard in its entirety and felt with more intimacy. Suggested energy exchange, sliding scale between $25 – $40. Even modern doctors are using these old metal bowls for healing, and they are not practicing Buddhists! As a matter of fact, modern Buddhists no longer use the bowls in their practice. Come hear the amazing story of how the practice was abandoned long ago and rediscovered in modern times. This month’s focus will be on the activation of the Root & Sacral chakras. This month’s meditation targets our central chakra. The solar plexus is the center vortex of balanced health for our body and soul. The color for this Chakra is Yellow, the crystal is Citrine, and the musical note is “E”. Come rE-store, rE- align, and rE-jeuvenate with the rE-laxing “E” note of the ManEpura Chakra. Mitchel Gaynor, Cornell Medical College’s Center for Integrative Medicine director of medical oncology, is renown for Tibetan Singing bowls successfully being used in his medical practice. One of the reasons I love attending the monthly meditations is because it allows me to unwind from everything and just relax. Everyone is so positive and supportive of one another. It’s like a big family! Suggested donation: $15 – $25. All proceeds go to support the Crystal Ashram project where the Human Activation School of Expanded Consciousness will be held. Questions? Call Liz at 410-980-1324. Visit crystalashram.com or email monte@crystalashram.com. Ushering in the new year, on January 1st 2018, an opportunity to purify your past while intending your present in a powerful burning bowl ceremony at the beautiful Unity by the Bay Sanctuary. Magical Maji’ Musician Gary Hardnett with his many instruments will play with Monte for a unique improv to facilitate the evening flow.